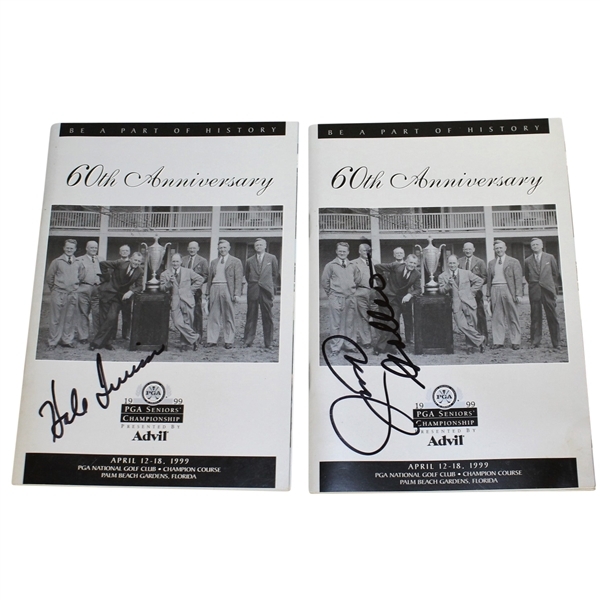 The 1999 PGA Senior Championship was the year of the 60th Anniversary for the tournament. It was played at the Champion Course in Palm Beach gardens, Florida. That year, Allen Doyle brought home the victory and shot -14. 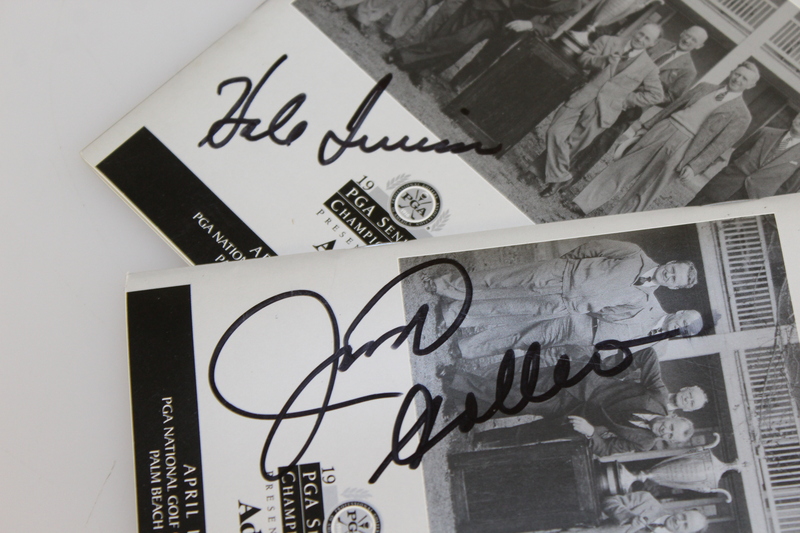 This lot features two tournament programs with signatures from Hale Irwin and Johnny Miller. 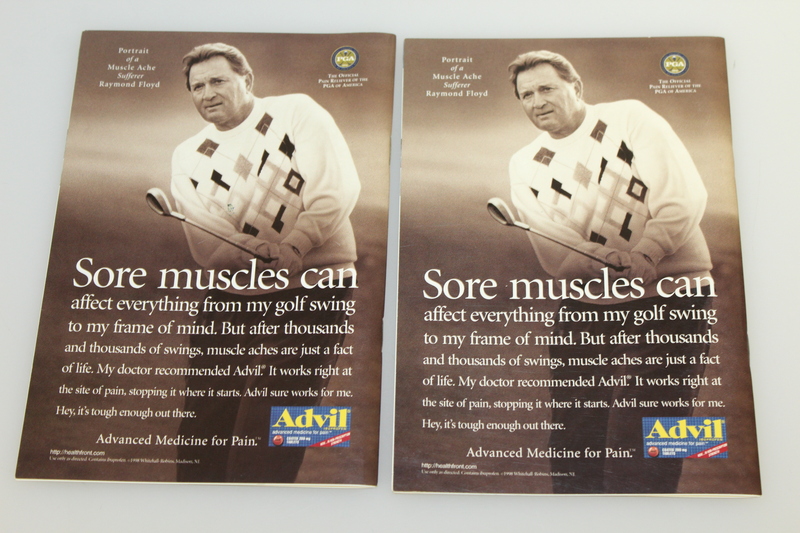 Irwin is a 4-time winner of the PGA Seniors Championship winning in 1996, 1997 and 1998 and then once more in 2004. Be advised that some of the beginning pages of the Johnny Miller signed book are stuck together at the bottom corner.